Pt. B.D.Sharma, PGIMS, Rohtak is situated at a distance of about 240 km from Chandigarh and about 70 km from Delhi on Delhi-Hissar-Sirsa-Fazilka National Highway (NH-10). It is the only major Institution for Medical Education and Research and a tertiary care centre for provision of specialized health care services not only to the people of the State of Haryana, but also to those from Punjab, Rajasthan, Delhi and western U.P. The Institute was started under the name of Medical College, Rohtak in the year 1960. For the first three years, the students were admitted to Medical College, Patiala which acted as a host Institution. In 1963, the students were shifted to Rohtak. In the subsequent years, multifaceted expansion measures have transformed the Institute into a fully developed center of Medical Education and research in all the major disciplines of Medicine. In the year 1994, Medical College, Rohtak was renamed as Pt. 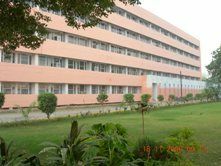 B.D.Sharma, Medical College, Rohtak and subsequently it was upgraded to a Post Graduate Institute of Medical Sciences in the year 1995. Today Pt. B.D.Sharma, PGIMS, Rohtak is a famous institution not only for medical education but also for the health care facilities both at the National as well as International level.